Volunteer in the rural health clinics and outreach programs that serve the underprivileged communities surrounding San Ignacio, Belize. Members of these communities often lack access to adequate health education, qualified medical professionals, and treatment resources. Prices for medical services and resources are high in Belize, but wages remain low. These clinics are staffed by advanced nurses or community health personnel who provide a variety of services including home visits and other outreach programs. A rare opportunity to work with indigenous Amazon parrots liberated from the illegal pet trade, as well as all species of wild birds found in Belize. Parrot rehabilitation for release can take up to 2 years and involves dedicated efforts in diet, nutrition, flock-building, husbandry and enclosure maintenance. Interns will live on site in a home-stay environment and be expected to contribute to all aspects of the rehabilitation process for every species at the centre, including barn owls and other raptors, pelicans, toucans and many passerine species. Belize is an English speaking country. Join our expedition in beautiful Belize and learn to dive and carry out vital marine research. 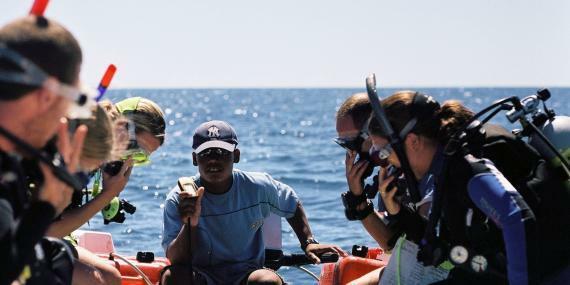 The research you carry out on dives and during surveys will be a valuable part of our conservation activities in Belize. You can also visit Mayan ruins, rainforests, mangroves, turtle nesting sites and salt-water crocodile habitats as well as experiencing the natural beauty and diversity of the Belize Barrier Reef. 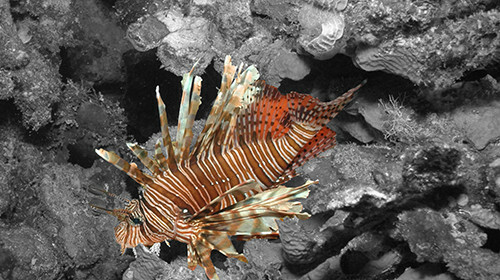 If you&apos;re looking for more than just a dive holiday for a week break, then the Blue Ventures Lionfish Project in Belize could be perfect for you!